The members of ThSim group have developed a better understanding of 2D materials. One recent addition to the family of 2D-Materials is MXene, transition metal carbides and/or nitrides. We have develped a material database, which currently hosts more than 15,000 MXenes and their electronic properties as well. 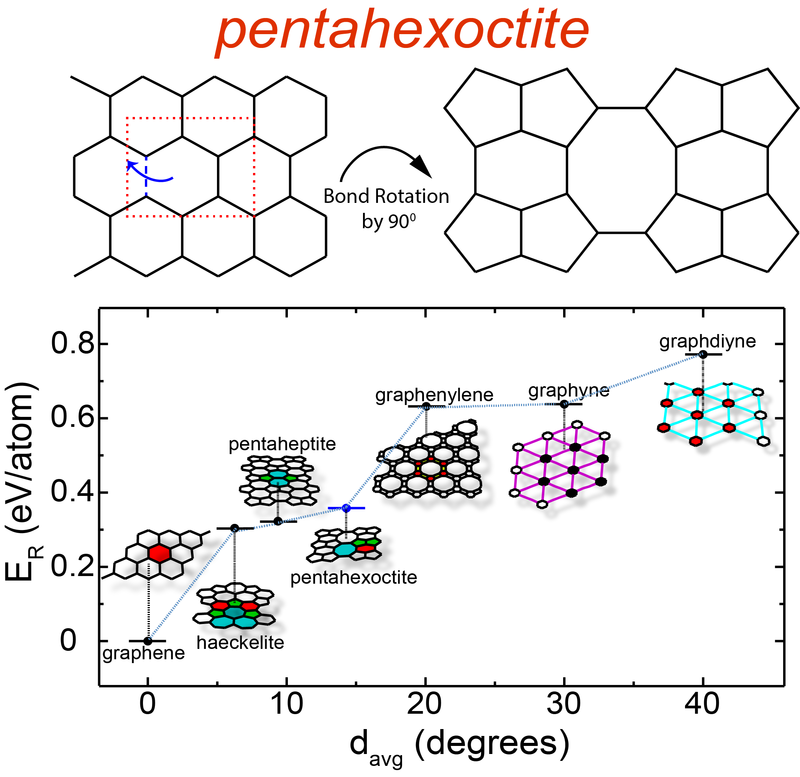 ThSim group has been involved in predicting the new allotrope of carbon, one such is pentahexoctite and understanding the effect of strain (pressure) on electronic and mechanical properties of 2D materials. 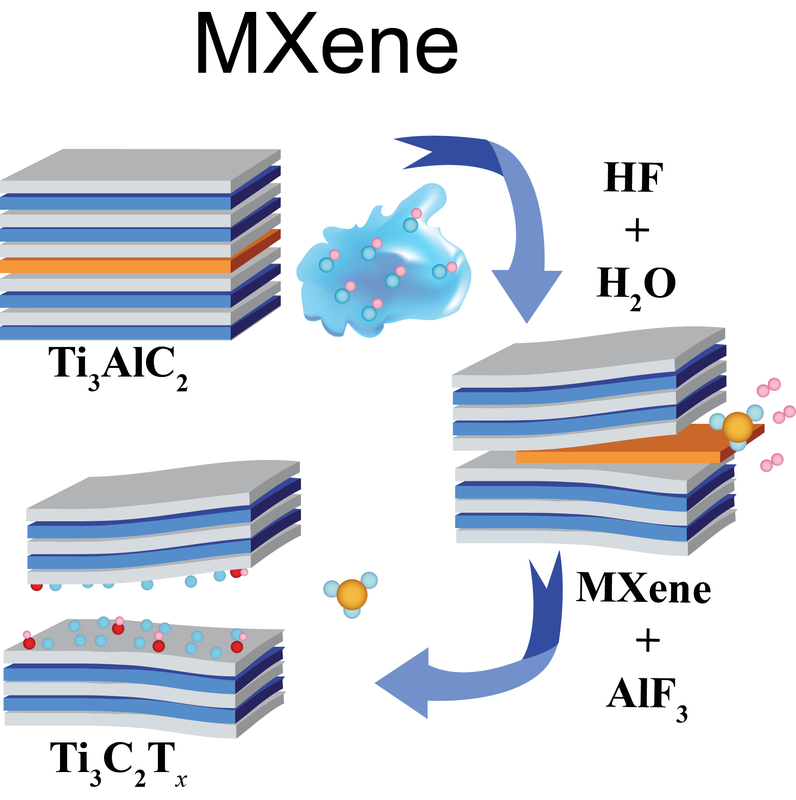 First time a monolayer of a two-dimensional material (2D) oxygen-functionalized MXene (Sc2CO2), which possesses both ferroelectric and antiferroelectric low-energy configurations. By applying an electric field, one may switch from one ferroelectric configuration to another. The switching of polarization in this new class of ferroelectric materials occurs through a previously unknown intermediate antiferroelectric structure, with energy barrier for switching is sufficiently high to ensure the presence of three distinct states (+Pz, 0, −Pz) for nonvolatile memory applications even at room temperature. 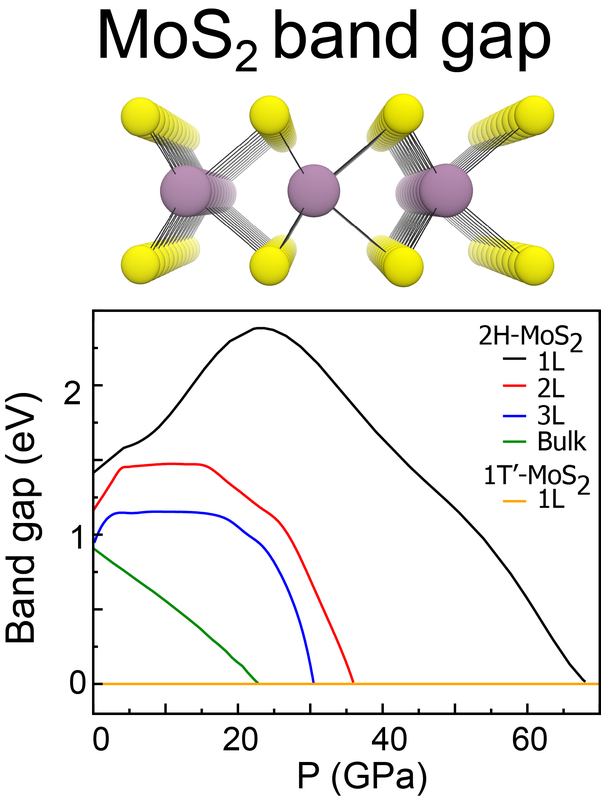 Another interesting aspect of this material is the transition from insulator to a nondegenerate 2D electron/hole gas (2DEG/2DHG) system as we go from the monolayer to bilayer. The 2DEG is nondegenerate due to spin−orbit coupling, thus paving the way for spin−orbitronic devices. In the case of multilayer Sc2CO2, light which is incident on the insulating bulk of the material will result in the absorption of a photon and the creation of an electron−hole pair.